Alicudi is the farthest island towards west, so you may experience the colors into the open sea like you are watching the ocean. The island is very simple but so authentic. 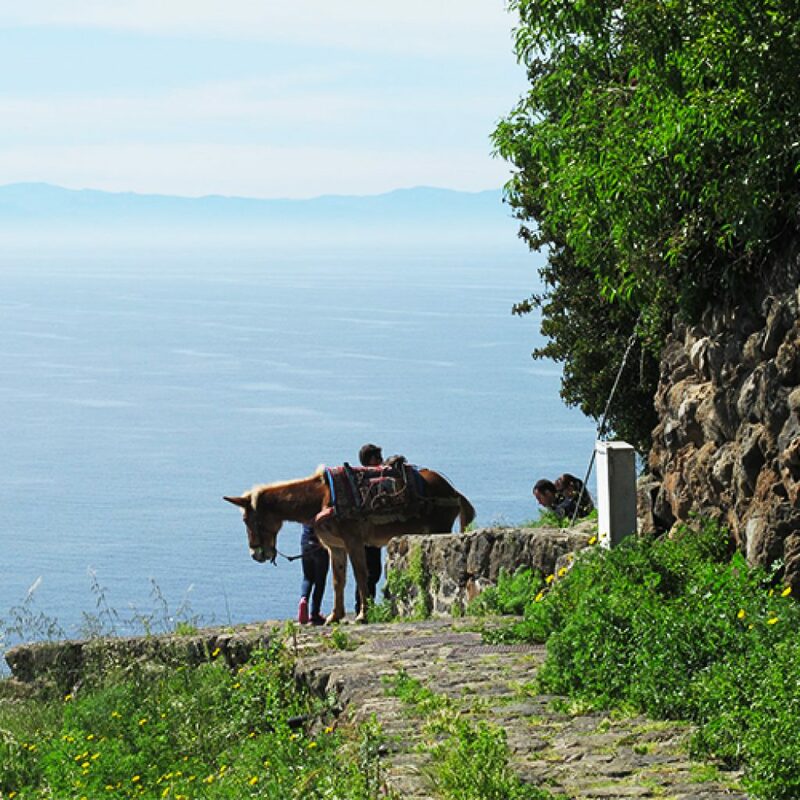 From Alicudi Porto it is possible to choose between mountain excursions and sea or a combination of the two. The Chiesa di San Bartolo is the switch towards the routes north Filo dell’Arpa, la Montagna, and south Sgurbio and Bazzina. Routes are all mid-difficulty and last from 2 to 4 hours. 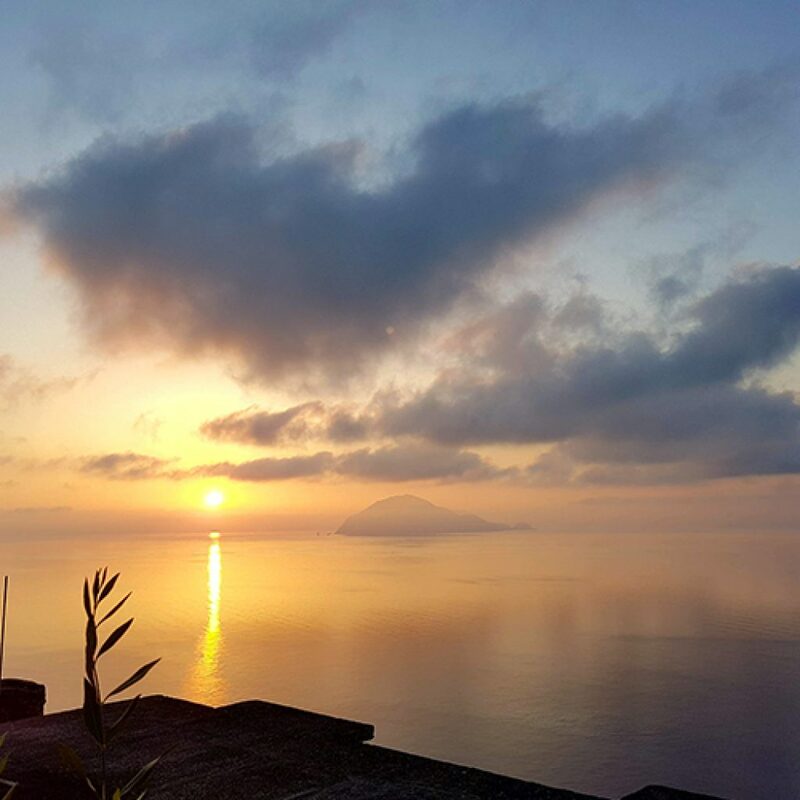 Alicudi is special at sunrise, a fan of pink and gold over the open sea watching the profile of Filicudi. 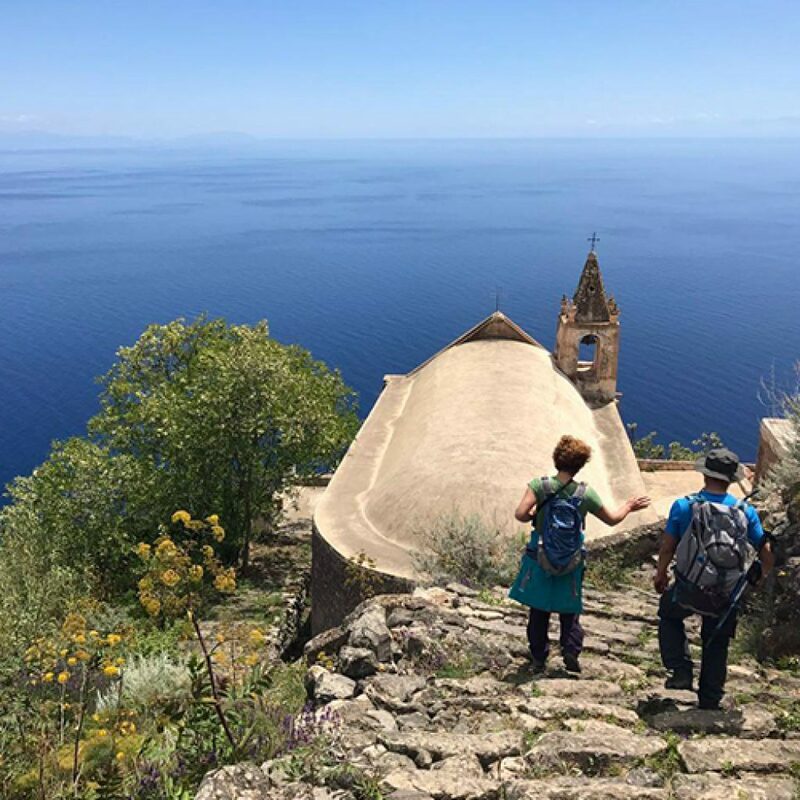 Spend at least two days in Alicudi, since last hydrofoil leaves too early for sunset, and enjoy the possibility of having a night-time excursion at moon light or under the stars. Meals are always homemade with organic products from gardens and fish is always just fished by Silvio. It is possible to take a round trip off he island by boat. 1) Round the Island tour: South/East/North/West. Steps and paths. Difficult. Duration 5h. From the Harbour to San Bartolo to Filo dell’Arpa on the East side and back to the West side passing through Pianicello or Tonna contradas. Back to Perciato. This excursion may arrive to the volcano reaching altitude 675m a.s.l. 2) Harbour/C.da Sgurbio/C.da Bazzina: South/East. Difficult. Duration 4h. Back by boat. Altitude 300m a.s.l. at C.da Sgurbio. 3) Harbour/Bazzina: 45 minutes. Easy. Back by boat.